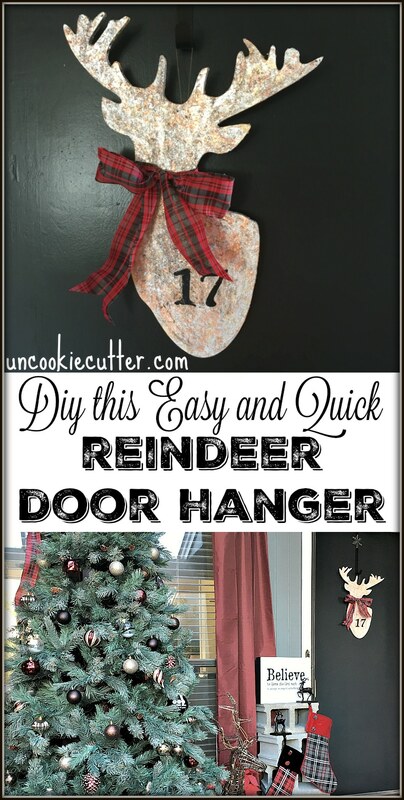 Reindeer Door Hanger – An easy wreath alternative! Hello and Welcome Back! Remember when I shared my Rustic Christmas front porch last week? 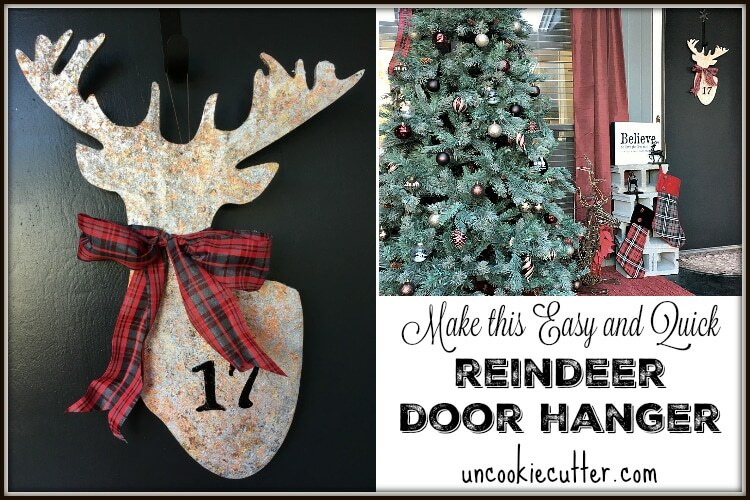 Well, I know you’ve been sitting and anxiously waiting to see how I made that reindeer door hanger, so this post is for you ;). This is my very first attempt at a video, let me know if you like it and I’ll do some more! *You could cut your own, or I found mine at Hobby Lobby. This is a similar one I found online. This was so easy you guys! 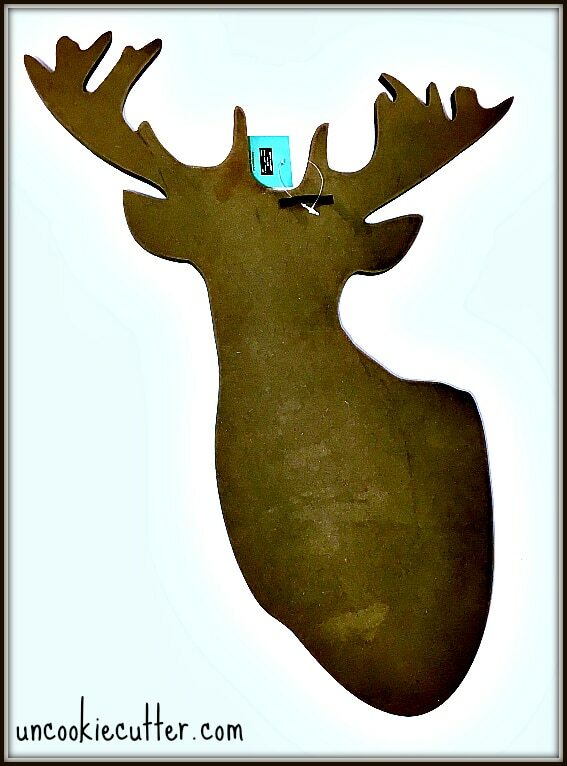 I found my deer head at Hobby Lobby. They have all kind of different MDF shapes, you could do this with whatever you wanted. Then, you just take the metal leaf adhesive and brush it onto the form. And this is an important step – wait 15 min for the glue to get tacky. Then just start brushing on the metal leaf. I used a mixture of different colors, but you could use a solid color gold, silver or bronze. Check out this video to see how easy it was! Then, once it was dry, I just tied a bow on and add some house numbers. I cut these out with my new Silhouette Cameo 3, but you could just use stickers or even house numbers. That’s it! How easy is that? Makes a great little door hanger. I love this metal leaf stuff, it’s great! You can pick some up at Hobby Lobby, that’s the only place I’ve ever found it. That’s all for today! Thanks for stopping by. « 13 Days of Woodworker Christmas + A Giveaway! That turned out so good! What a festive way to greet visitors. I should make one for my parents’ new front door!